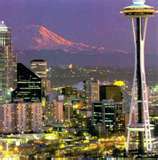 Kelly Saunders is a young, African-American, single mother of seven-year-old Tenisha and lives and works in Seattle, WA. Nancy Norton is a high-school senior at a local, private Christian school and is Tenisha’s beloved babysitter and Kelly’s young friend. When Nancy’s body is found at the school one weekend, it appears that she committed suicide, but Kelly simply cannot accept that Nancy would do this. Suspecting a love triangle involving Nancy, Kelly uses her naturally inquisitive personality and reasoning ability to get to the heart of what really happened. Along the way, Kelly deepens her relationships with some of Nancy’s teachers and friends and even begins to develop a new friendship with Detective Boipelo Noble, the detective investigating Nancy’s death. As anticipated, Kelly discovers that Nancy’s relationship with her boyfriend was not so secure, and Kelly suspects Nancy may have had a tryst with the young and handsome history teacher. Unexpectedly, Kelly finds a more tangled web of possible intimate relationships than she had at first suspected, and she wonders if Nancy simply was caught up in something larger than she could handle. With Detective Noble’s mentoring, and the guidance and comfort of her girlfriends, Kelly begins to uncover deeper motives and past “accidents,” fitting together a puzzle for which too many pieces seem to be missing. As her impressions of Nancy’s teachers and friends start to worsen, and as her feelings for Detective Noble begin to distract her, Kelly finds that she is tracking a murderer who has planned long and well and has covered the bases, leaving virtually no physical evidence behind. And the more she uncovers, the more confident she becomes, taking risks and leaving herself vulnerable. In the end, Kelly comes face-to-face with a killer and learns that, for some, there is a fate worse than death. Special thanks goes to Shonda Cunningham, who was my first reader and provided several helpful comments and suggestions. This novel is in revision. It is not yet published.